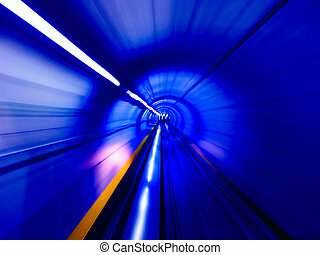 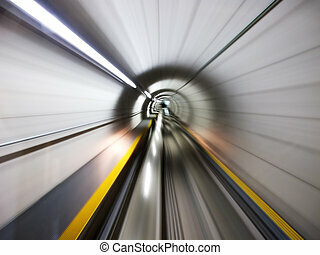 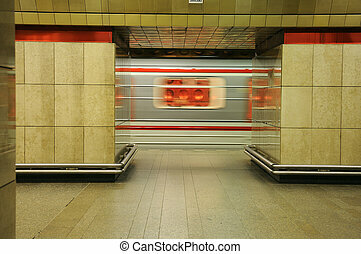 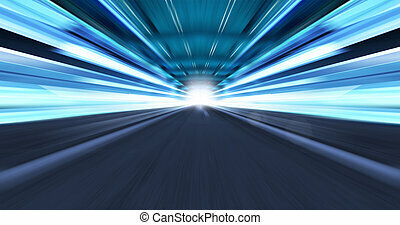 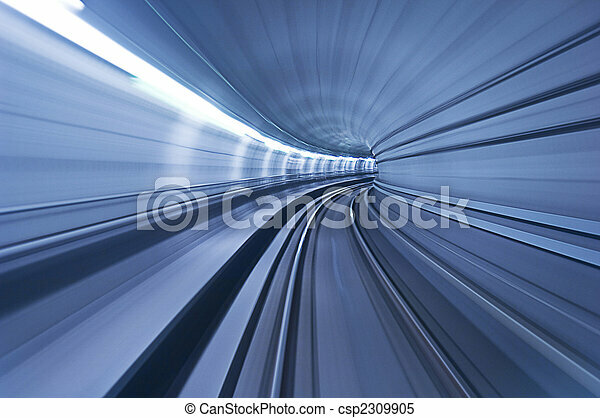 Metro tunnel in high speed. 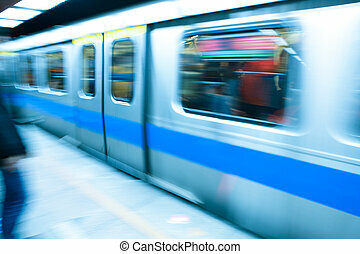 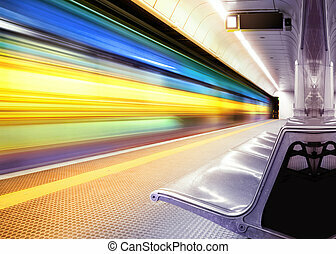 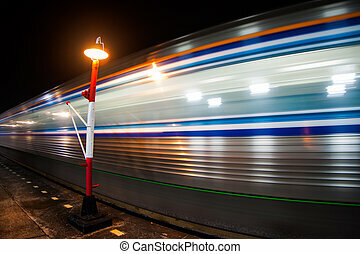 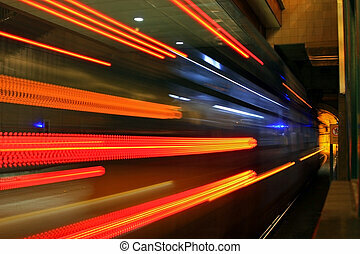 Light rail subway train passing at high speed leaving lines of colored light streaks. 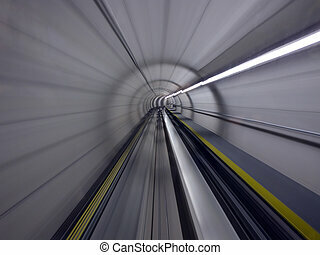 Photo taken from along right side of Metro Tunnel in Seattle Washington. 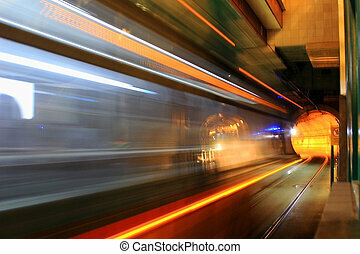 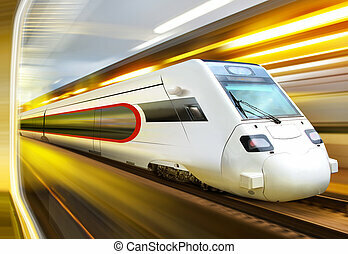 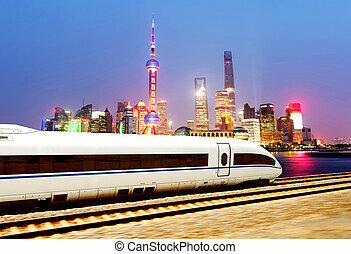 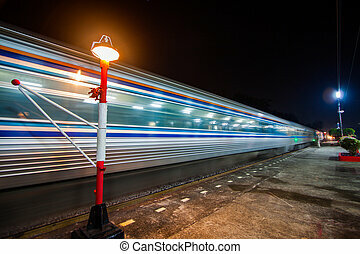 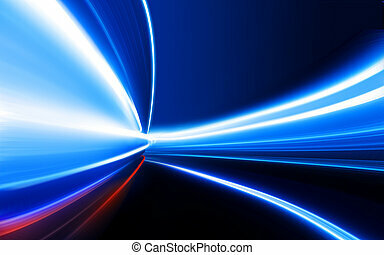 View of light rail train passing by at high speed leaving streaks of light and a light and a fog like blur. 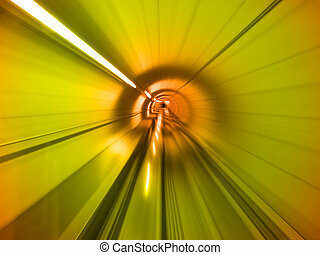 Photo was taken in the Metro Tunnel Seattle Washington.